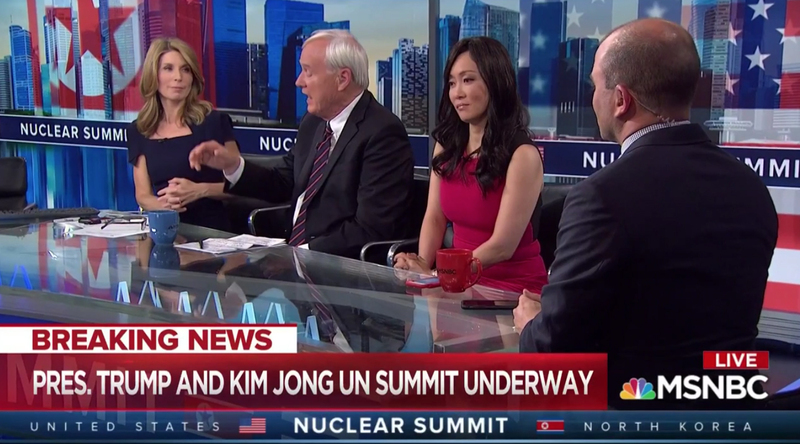 All of the American cable news networks offered wall to wall coverage of the Singapore Summit between Donald Trump and Kim Jong Un — but MSNBC went all in with fully branded graphics. 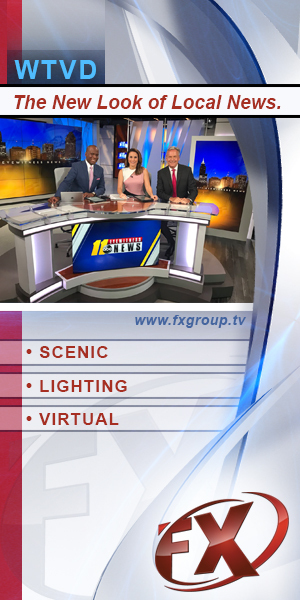 Fox News and CNN, meanwhile, bundled coverage of the summit under its normal primetime programming branding, including keeping each show’s graphics package. CNN’s Anderson Cooper and Fox’s Sean Hannity both anchored lived from Singapore, and while NBC had both Lester Holt and other correspondents on scene Asia, coverage was anchored from New York. MSNBC’s main block of coverage was lead by Rachel Maddow and Brian Williams, both of whom have their own shows during at 9 and 11 p.m. eastern respectively. MSNBC’s graphics package featured an open with a faceted motif focusing heavily and the faces of Trump and Kim with glassy vertical panels sweeping outward from the center. 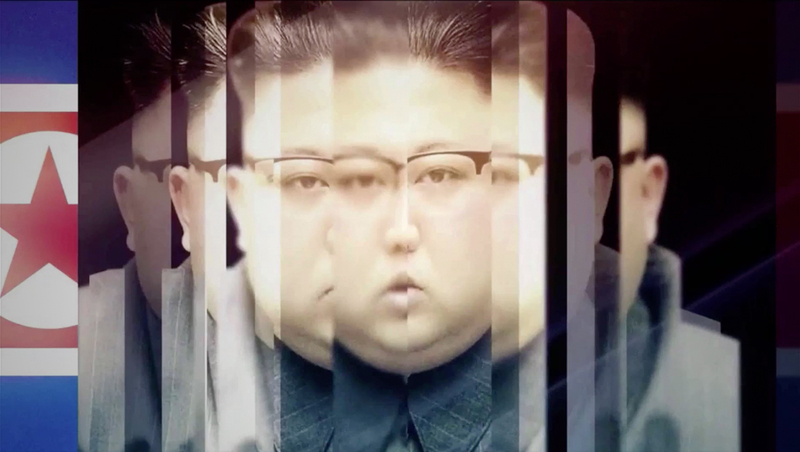 This same effect was used to reveal the network’s “Nuclear Summit” logo ringed with the words “United States” and “North Korea” and the countries’ flags. 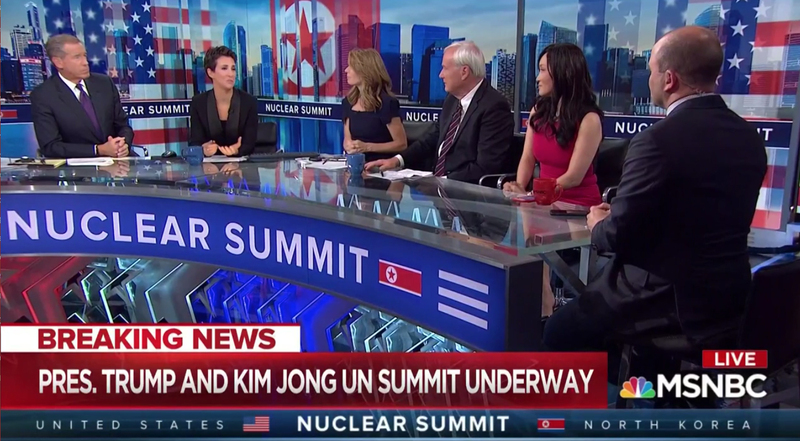 MSNBC’s coverage was broadcast from the corner of MSNBC’s side of Studio 3A in New York City, taking advantage of the set’s corner of video walls to showcase matching faceted graphics that blended an image of the Singapore skyline with flag motifs and a “Nuclear Summit” band.